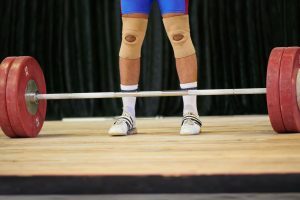 USADA announced today that Zachary Wuebben, of Emerald Isle, N.C., an athlete in the sport of weightlifting, has accepted a four-year sanction after testing positive for multiple prohibited substances. Wuebben, 25, tested positive for clomiphene and ritalinic acid, a major metabolite of methylphenidate, as the result of an in-competition urine sample he provided on April 9, 2017, at the National University & National Under 25 Championship. Clomiphene is a Specified Substance in the class of Hormone and Metabolic Modulators and methylphenidate is a Specified Substance in the class of Stimulants. Clomiphene is prohibited at all times and methylphenidate is prohibited in-competition only under the USADA Protocol for Olympic and Paralympic Movement Testing, the United States Olympic Committee National Anti-Doping Policies, and the International Weightlifting Federation Anti-Doping Policy, all of which have adopted the World Anti-Doping Code and the WADA Prohibited List. Wuebben’s four-year period of ineligibility began on May 5, 2017, the date he accepted a provisional suspension. In addition, Wuebben has been disqualified from all competitive results obtained on and subsequent to April 9, 2017, the date he competed in the National University & National Under 25 Championship, including forfeiture of any medals, points and prizes.